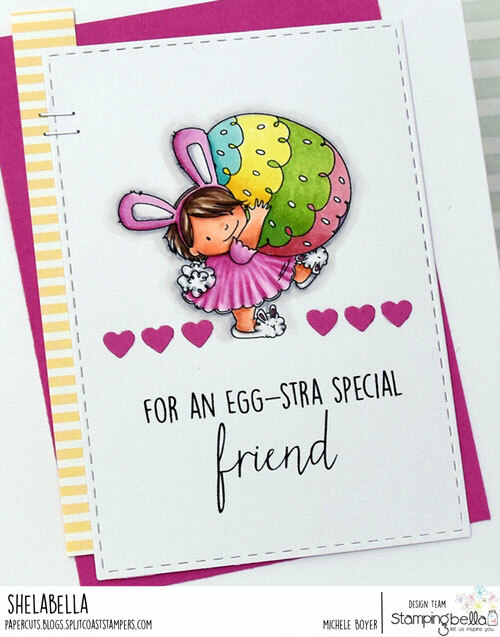 I stamped onto X-Press It Blending Card then colored with Copic markers. 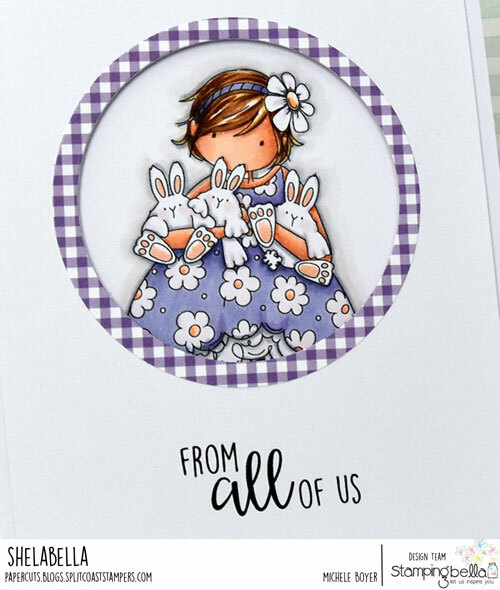 I die-cut a gingham frame using two circle dies then adhered it over the outer edge of a die-cut window. The window panel is popped up on foam tape with Becky and her wobbles framed inside. 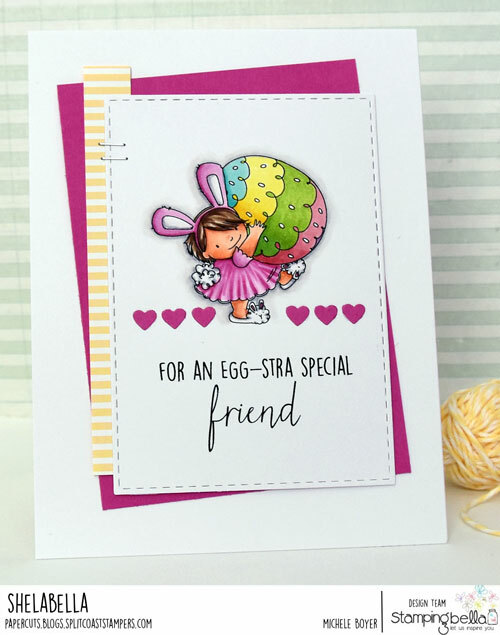 I posted this card (using Squidy Easter Trio) on Instagram the other day so I thought I’d add it here with the marker info (noted below the following photo).